The Brand Sent Us 2 Beautiful Customised Pack Of Labels For Both of my sons To Try On & Review .. Both The Themes are Different & are Specially Personalised for them According to their Age Group ..
& The Cherry on the top is that My Kids Names are written on it ..
What Is My Cutestickons ??? It’s A Delhi Based Brand My Cute Stickons. 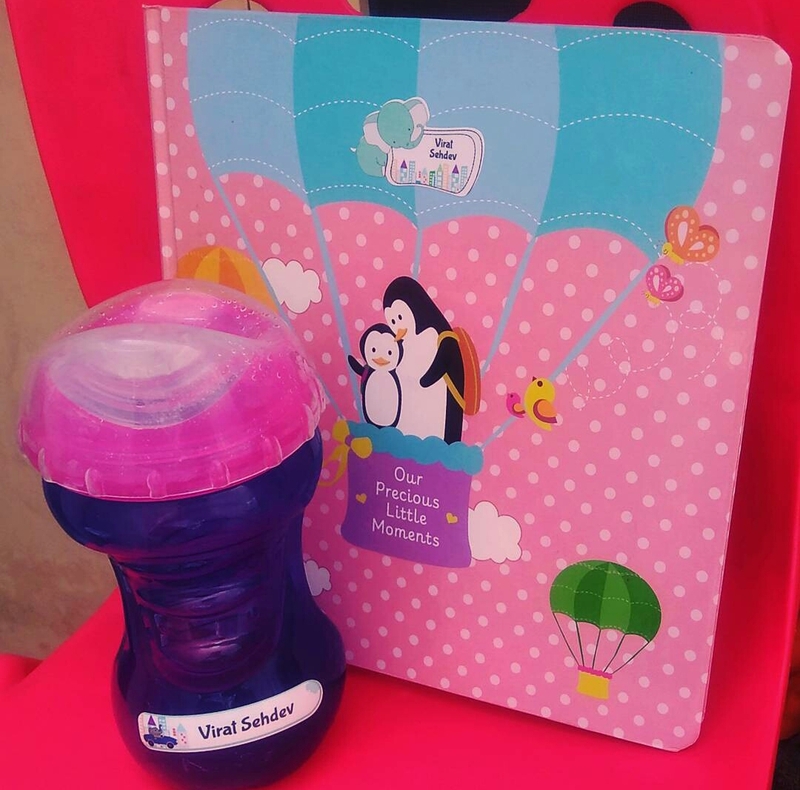 They Deals in Cutest Name Labels, Wall Decor, Personalised Stationery & Gifts for Kids..
A Brand Which Comes to an Existence by a Beautiful Mom-entrepreneur Romilla . She came up with the concept of beautiful and personalised Stickon Labels. It’s a very new concept which has been loved by Indian moms. 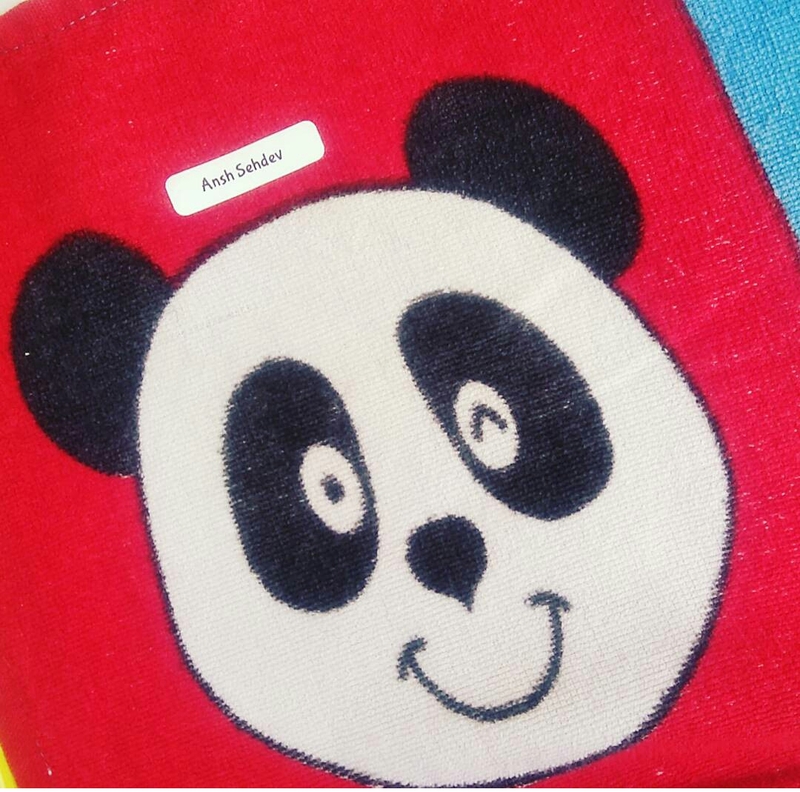 My Cute Stickon Labels are cute & tough and come in a variety of categories such as towels, bags, shoes, sippers, bats, rackets and everything that needs your little ones’ name on it. There are fun and funky designs and less conspicuous labels for the older kids as well. Made of vinyl, Stickon Labels are also heat resistant. They don’t wear out in the microwave and are waterproof too. You also have the option of personalising these using colours and fonts. There is something for We Moms too! Like Kitchen labels, gift tags & those for the house are exclusively for us. 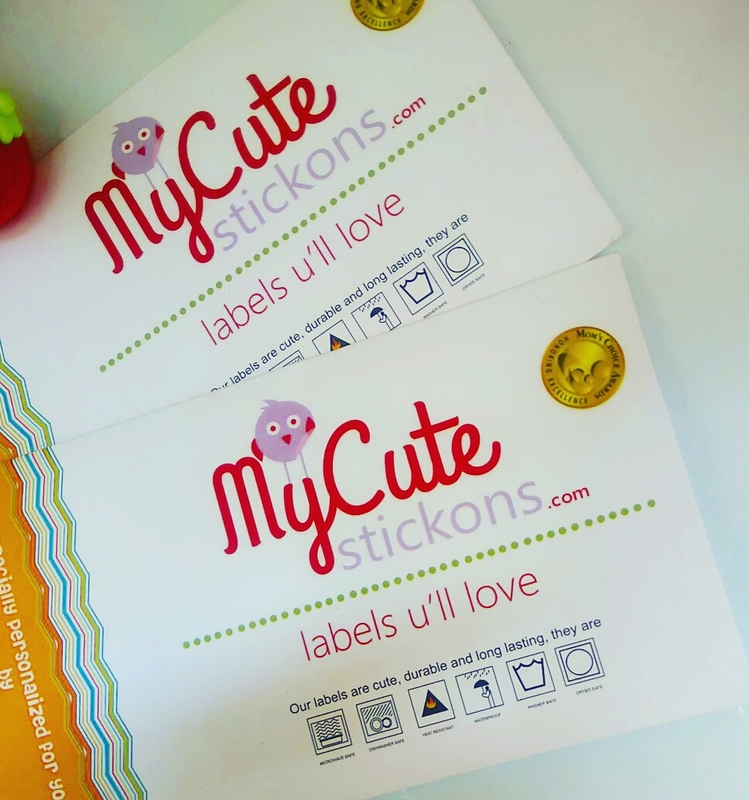 Mycutestickons presents to you a whole new range of Waterproof Stickon Labels ,Iron on Labels ( It’s a blessing for Those kids who Study in Boardings ) , Shoe labels & labels for just about everything in cute designs and absolutely great quality. All These Labels are . 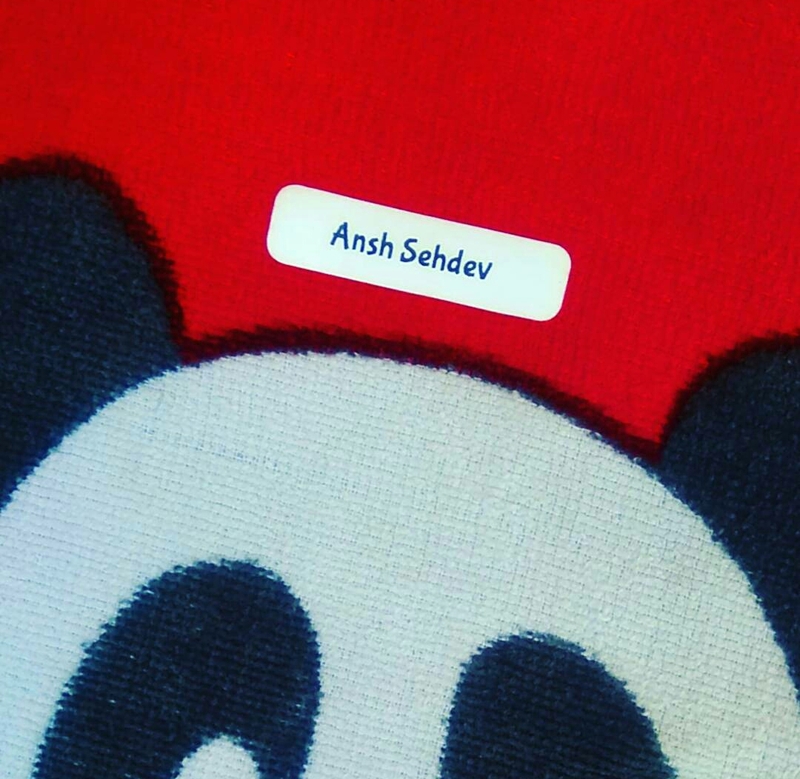 A) On My Track Themed Labels For My Elder Boy Ansh ! It’s a car, it’s a train, it’s the mycutestickon label once again! The transport labels display cars, trains and planes in funky colours. They can also be used to teach kids traffic rules and road discipline as well. B). Elephant Car Trunk Themed Labels For My younger boy Virat !! This Labels Can Be Used on Anything Such as their Stationery items , their day to day Essentials items , Their School Supplies , etc etc. Life is simple ! Peel, stick & say wow! See How These Labels Are Complimenting Their Water Bottles ..
Their Candy Boxes , Now They Can Easily Pick their Own Box by themselves !! ?? 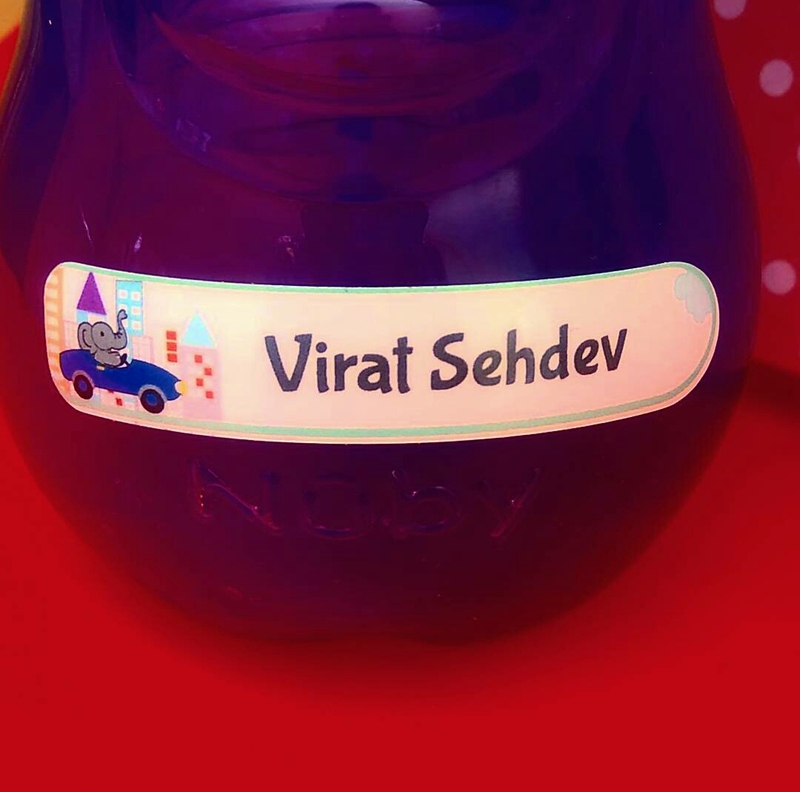 Shape Labels In My #baby Virat’s Record Book ..
Isn’t These Labels Are Looking Too Cute ??? Elephant Trunk Middy Label is His Favourite Sipper ! & This Cute Elephant Shaped Label in His Record Book ! 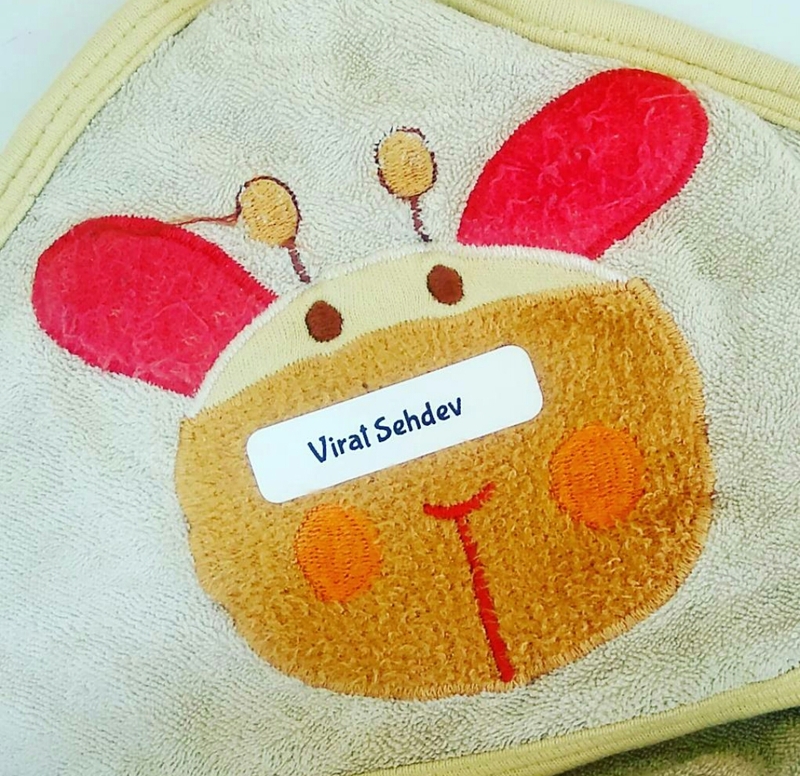 This is a exclusive Theme Specially Designed for My #babyVirat according to his Age ..
My Kids Wanted These Labels to be Stuck on their Towels First , So I did the Same ..
No mess, no fuss, no tacks & tapes , Personalised Things has never been easy ! 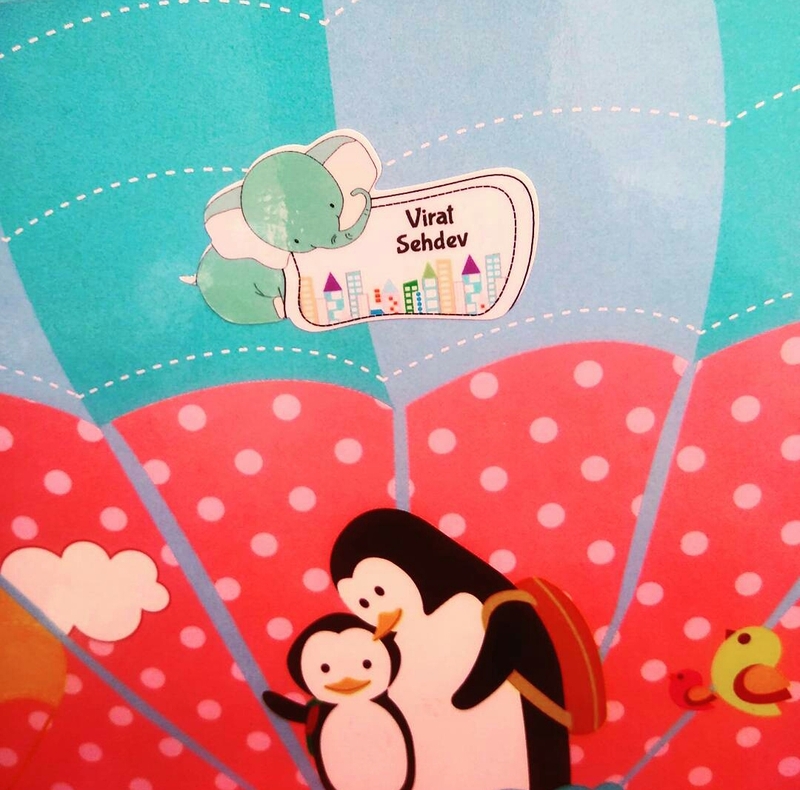 I Pesonally Recommend These Labels To All Mommies out here Who Believe in All Things Customised For Their Kids. Caution : Their Kids Belief Must Be The Same ???. Mommies They Have loads of Personalised themes to choose from for your kids . For Girls & For Boys ! Their Is Something Great for Each Child , according to their Taste ! My Kids Used to “Jump With Joy” When Everytime I Do Some Personalised Creativity for them ! ? The Labels Are Of High Quality & can cover all our Needs ..
Have An Enjoyable week ahead !! Kitne cute labels hain ?? ye address beti ko bhej rahi hu wo apne baccho k liye supply mangwa legi ? Waoh, It’s a lovely Review !! This is wonderful for the mommies as well as the kids. I wish we had this when i was a child. Aww, tysm for loving it & your kind Words ! Yeah They are too good. Ty. My older child loves stationary and loves labelling everything- right from her clothes section in the cupboard to the door of her room and everything else! Might get this for her! Yeah , I’m Sure She Will love them ! Very useful for little toddlers who just started their schools. beacuse little kids used to forgot or misplaced their things somewhere in the school. So these personalised stickers can help to find their belongings. I will too try these for my little buddy when he starts his schooling. I noted down the address. Aww, thx for liking. It’s really nice of you.